Hey, peeps! I think you all remember how much I dreamt about moving to the UK (if not, check my posts here) and that I was convinced that one day this will happen. 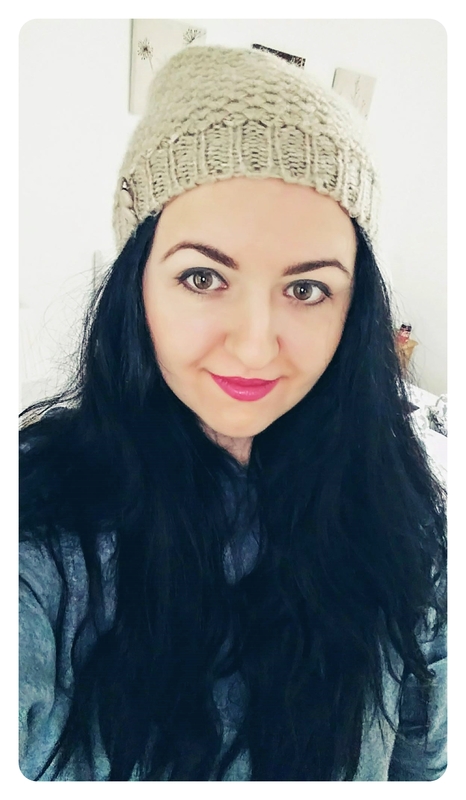 For those of you new here: I’m Andra, a Romanian girl who moved to England with her fiancé. Find out more here. 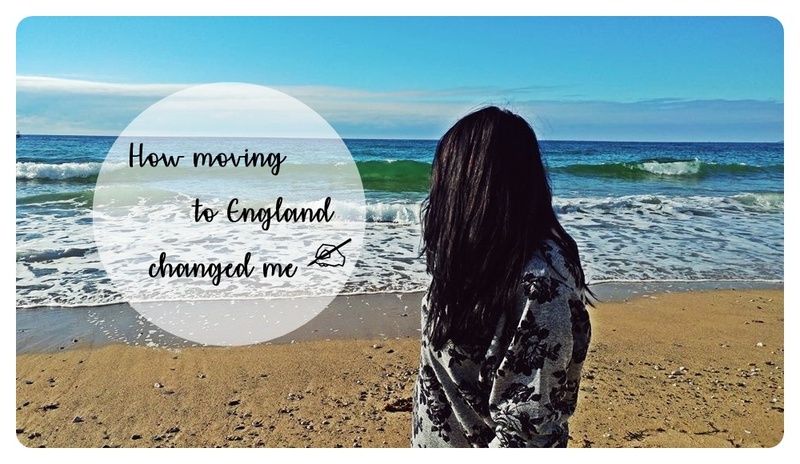 It’s been a while since my last personal post on this blog, therefore the time has come for a new one and it’s a special occasion because… 3 years ago this week I moved over to England. Looking back to this, I can honestly say it’s one of the best decisions I’ve ever made. I started thinking about moving to the UK when I was in uni or even earlier than that if I remember well. If you ask me the exact reason why I wanted to do this I can’t really tell you. For some people, moving abroad happens because of a better salary, new experiences or because of their partner. For me, it happened because I felt attracted by England, even though I’ve never been here before moving over. I felt that this country would receive me with open arms – funny thing if you ask other people. Therefore, when I moved over here I adapted very easily. It was like here is where I belong – don’t know how exactly to explain this feeling. The move happened after nearly a year from graduation. I planned everything in advance and I already had a job offer, started the induction and moved to Yorkshire – won’t write more details regarding this as you can find them in older posts. Now let me tell you something that I’m sure some of you already know. Moving abroad is not easy. It requires courage, strength, patience and determination. A lot of strength because you leave behind your family, friends, things that you used to do there and places where you grew up and spent many years. In a way, you always carry these with you in your heart and you never forget the memories. I kinda of encouraged myself with the thought that the flights to Romania from here are only 3 hours length ? I think living abroad all by yourself is harder but I have my fiancé with me and this makes it easier. People who know me for years are aware that before moving to England I was a shy and quiet person and left the impression that I can’t travel alone anywhere, not even to the store and back ? It seems that moving here I proved to myself and to everybody that I can achieve anything if I want to. Moving to England changed me in a good way I should say. It changed my view on things, improved my English, it made me stronger, it gave me independence, optimism, job security and career progression. Your experience here depends on your expectations and your attitude. You write your own life story, make sure you choose a positive one. When I arrived in the UK, everything was new for me and different – streets, people, accents, workplace, houses, concepts etc. I saw both good and bad sides of things – this is not a perfect country but you make your stay here. Since moving here and now after 3 years I feel that I accomplished loads: I grew up as a person, got my Physiotherapist registration, got a very good job, got a provisional driving licence and now learning for the full licence, planned the wedding which will happen mid 2018, we got a car (two actually but sold the old one), travelled a lot – south west England, central England, northern England, Wales, France and not stopping here. The plan is to travel as much as possible. We try to travel every weekend somewhere, love the day trips as you can see many places but I think I’m starting to run out of ideas for north England as we live in Leeds (west yorkshire) and we saw most of the interesting places near us (and not only) – any recommendations? ? It seems that the world got smaller now. Feels that these accomplishments happened because of our decision to move here. I’m not sure if this ‘story’ would have been the same without this decision but who knows?! Moving here also made me realize how much I love my profession and how I want to develop professionally. It gives you so many opportunities once you are here. The start is the hard bit, tends to be the same everywhere you choose to go but at least here you have more chances. If you are young and ambitious you find this experience easier as you would be more open-minded to adapt to other cultures and their traditions. I’ve learned how to be more positive, to fight for my dreams, to have faith in myself and build up my confidence. I’ve got used even to their full-English breakfast, exclude the beans – hate them since… forever! ? ; to their English tea (black tea+milk) – I drink cups of tea every day; to their left hand side driving; to their jokes and phrases; I kind of got used to their imperial system, able to understand it but I still think the metric system is easier; I learn new things every day about other nationalities and their traditions and also tell them about us Romanians. Something else that I find funny is that speaking English every day, several hours a day, I started developing an accent but don’t know how to describe it. It’s like a combination of other accents noticed here and it doesn’t happen only when I talk in English but also when I talk in Romanian too. At times, I can’t find the words to express myself in Romanian when I speak to friends or family and they start laughing. I thought this doesn’t make any sense when I’ve heard other people going through this before happening to me and now I know it’s real. Did it happen to you too? ? On a different note, I’ve been back to Romania in holiday a few times since moving here and I will be honest with you: it doesn’t feel like home anymore ? It’s more like a ‘2nd home’ but not on the 1st place. Our families always come to visit us and when we go back to Romania it feels that we are going there just because we want to see them but don’t miss the rest of the things. I think this happens because here in England we have something that we’ve built up from zero and we are proud of this and got used to the life here. When I go to Romania something always leave me with a ‘bad taste’. I don’t like being dissapointed in my home country but things don’t seem to improve there and politicians try their best to destroy everything that was good once. I do love the romanian traditions, the mountains, the sea, the countryside and the cities there but it’s a shame they don’t do anything to improve the state of the country. The salaries and the cost of living in Romania don’t seem to get along well… as the salary is too, too low and the cost of living is high. Don’t get me wrong, the rents in Romania are not the same with the ones in England, they are cheaper but with the salary from there you can’t afford to buy many things after you pay your rent; most of the food products, cosmetics etc are expensive for the salary that you receive. Also what I noticed here is that the English citizens complain about their public health system but they didn’t really see how bad this system works in other countries. I work in the health system in the UK and I always see the differences between them and Romania and I can tell you they are major. I like the way people smile at you in the UK, how they always say ‘Hi’, ‘Thank you!’, ‘Sorry!’ and ‘love’, how they ask you ‘Are you alright?’ or ‘How are you?’ – not all of them really care and it’s just the way of saying but it feels good. When you go into a shop they try their best to help you and even if you don’t buy anything they still smile at you because they are polite. What are your thoughts on these? This is my personal experience and I don’t expect everybody to agree with me. I feel that there are still many things to say and I’m sure I missed a few points but this is a good start for a next personal blogpost, right? ?